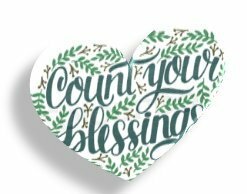 “Count your blessings, count them one by one…” the old hymn sagely advises us…but are we aware of how richly we have been blessed in the unsought Grace of God? And if we truly believe that we are blessed – are we living lives that reflect this. As we approach the culmination of our fiftieth anniversary celebrations it seems an opportune time for us to count our blessings – and perhaps to reflect on how much we take for granted. We are a church planted here to live out God’s word to show forth His love in the world by being living examples of how His Grace has blessed– us in the clergy He has called to lead us, in the lay leaders He has raised up amongst us, in our daily lives, our families, our work and yes, even in our adversity. In Psalm 78 recounts the history of God’s mighty acts on behalf of Israel. The psalm begins with a call not to forget the works of God”. The psalmist cites the example of Ephraim. Ephraim failed in the day of battle, not because of a lack of weapons, but because of the Israelite’s forgetfulness of God’s miraculous love and works. The people’s unbelief – their inability to trust in God and count the blessings they had been given even after experiencing their miraculous deliverance from Egypt and God’s goodness to them in the desert of Sinai. God continues to bless them even in their faithlessness –their inability to trust in his saving Grace. It is a spiritual defeat — their lack of Faith and refusal to love as God loves them produced near disastrous results…but God never turns his back on them – even when they deserted Him. Do any of us deserve any blessings at all? Of course not. Neither did we do anything to earn God’s Grace. It’s only because of God’s goodness and Grace that he blesses us, even those who don’t know Him, as Jesus says God “…makes his sun to rise on the evil and on the good, and sends rain on the just and on the unjust” (Matthew 5:45). So too the Apostle Paul remind us, “What do you have that you did not receive? If then you received it, why do you boast as if it were not a gift.” (1 Corinthians 4:7. Paul uses the expression, ‘in Christ Jesus’ over and over again. God has taken hold of us and placed us in Christ. In Christ, we have received ‘every spiritual blessing’ (Ephesians 1:3). We can overlook our difficulties if only we would count our blessings, all good things come from God, and even the evil in our life is something that God can use for good (Gen 50:20) . Do we count our blessings? Do we love others as He loves us – in this church, in the world? Are we teaching our children about His Blessings in their lives, about the miraculous works of God in the world –and, are we showing them by example how to be willing vessels of the Grace so freely given? With all that this Church has gone through these past 50 years it should be enough for us to count the blessings our gracious and loving God has bestowed on us. Let us rejoice, give thanks, let go of all actions that makes –and will make — our thanksgiving perfunctory and false. Rather, we should count our blessings in ways that make us feel the love of God for and with us, hence making us the true example and shining light of Christ to our community, our nation and the world. I would like to use the month of September as an experiment in expanding our faith in new ways. The traditions of the Anglican Church are rich and varied so during the upcoming month we will explore together the liturgy of our church as it is celebrated in some of our sister churches within the Anglican Communion. This experiment is not a prelude to any significant change but is simply a way for us to experience the richness of our Anglican heritage – another way to count our blessings as we bond with others of our faith worldwide. We will also experiment with different ways of enacting various rituals such as the passing of the Peace and announcements. Please feel free to share your thoughts about these new activities with me, the vestry or members of the worship committee. As we approach this milestone in our church’s history – let us embrace the strength our faith has given us as we reflect on how we can bless those who will be the Church of St. Edward the Confessor in the coming 50 years.